As we have seen over the past several weeks, Disney-MGM Studios released massive amounts of information pertaining to the park prior to its opening. 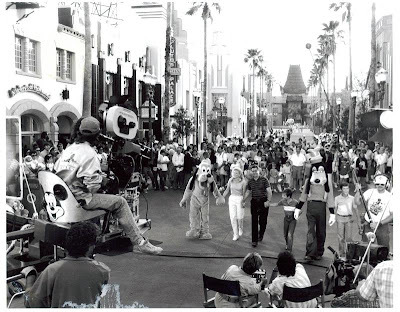 Whether the promotion of the new theme park was through advertisements, press releases, or partnerships, there was a definite plan to inform the public as to what Disney-MGM Studios was offering. STROLLING ON THE BOULEVARD -- Moviemaking is one of the major themes at the newest Walt Disney World theme park, the Disney-MGM Studios Theme Park. Guests enter the park onto a re-created Hollywood Boulevard of the ‘30s and ‘40s. At the end of the street is a full-scale Chinese Theatre -- exactingly modeled after the famous theater of the same name in Los Angeles -- which is the entrance to The Great Movie Ride, and Audio-Animatronics showcase of some of the most famous movie scenes in Hollywood history. Other attractions include television, sound-effects and stunt theaters and a Backstage Studio tour. 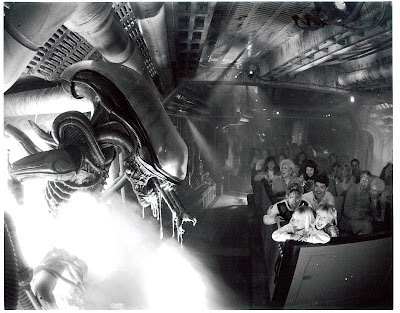 On the tour, guests ride past costume and crafts shops, through special-effects areas and onto residential and New York backlot street before beginning a walking tour through working soundstages, post-production facilities and a complete animation unit. 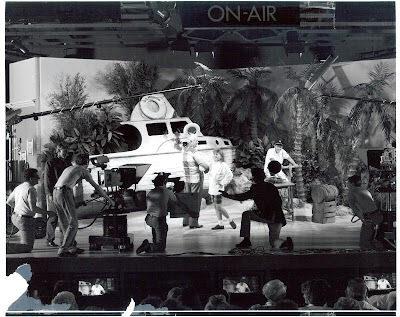 “GILLIGAN’S ISLAND” RETURNS with guest stars from the audience during [a] performance of SuperStar Television at the Disney-MGM Studios Theme Park. More than 35 years of television are recalled during the fast-paced show. 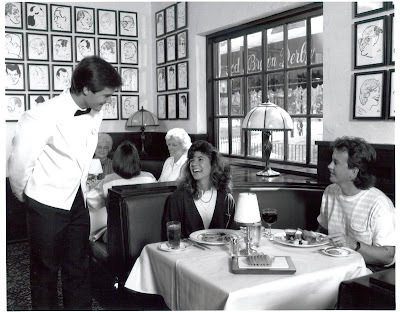 VERY CHIC -- The décor of the original Brown Derby on Hollywood’s Vine Street is re-created in the 224-seat restaurant with teak and mahogany accents at the Disney-MGM Studios Theme Park in Florida. M-I-C-K-E-Y! 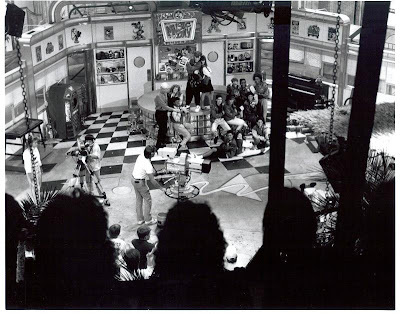 – On Soundstage 3 at the Disney-MGM Studios, kid cast of the new Mickey Mouse Club sings and dances for the cameras -- and for theme park guests who can view the action from an elevated corridor as part of the Backstage Studio Tour. The show is featured on the Disney Channel. 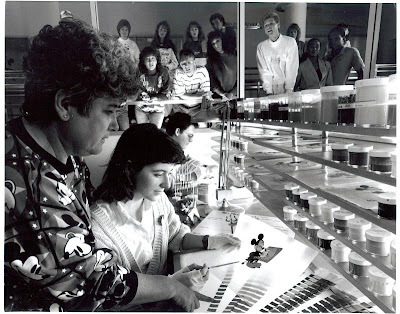 BRINGING DISNEY CHARACTERS TO LIFE -- Visitors watch as cels of Mickey and other Disney characters receive their final coats of paint in the “Magic of Disney Animation,” a full-production animation department at the Disney-MGM Studios Theme Park. 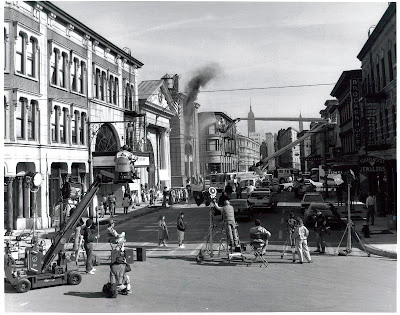 THE REEL THING -- A production crew transforms a backlot location at the Disney-MGM Studios Theme Park into a busy New York street filled with activity, proving that looks can be deceiving. Guests visiting the newest addition to the Walt Disney World Resort will be able to view production similar to this as it actually happens, as well as catch a sneak peek of filming or taping on soundstages. It’s all part of the behind-the-scenes-look at the movies that is part of the Disney-MGM Studios Theme Park. 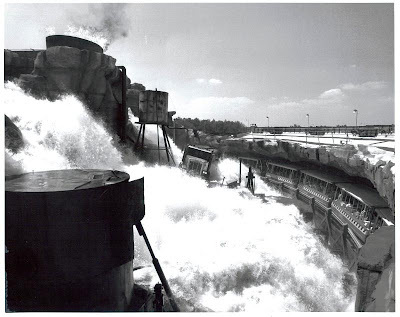 RAMPAGING WATERS ARE UNDER CONTROL in Catastrophe Canyon, a special-effects thrill show for guests aboard the Backstage Studio Tour shuttle at the Disney-MGM Studios Theme Park. Rain storms, earthquakes, flash floods and fires are all part of the made-for-the-movies spectacle. 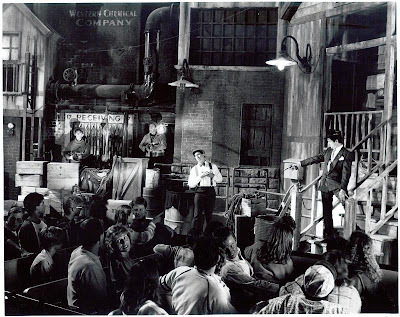 SCENE-SHOOTING -- When an inquisitive tour guide (center, wearing white shirt, suspenders and bow tie) leaves the tram taking Disney-MGM Studios Theme Park guests through The Great Movie Ride, he receives an abrupt introduction to moviemaking. The ride takes the new Walt Disney World park’s guest past Audio-Animatronics re-creations of famous movie scenes. In the gangster-movie set, the tour guide is surprised when what appears to be an Audio-Animatronics character turns out to be a real thug -- an armed one who “shoots” him before hijacking the tram and its riders. Just like the movies, though, the tour guide plays a major role in the ride’s happy ending. This morning, as some of us stand on Hollywood Boulevard, while others of us smile over our coffee or tea with fond memories of the Studios past, let us remember what makes Hollywood’s films truly unique: The past is filled with classics and legends, there are always special editions upgrading films along with sequels, and the technology of tomorrow will always be creating more immersive films. The same holds true for Disney-MGM/Disney’s Hollywood Studios. Happy 20th anniversary Studios, here is to 20 more golden years!